Certain defences may be raised when opposing a divorce. These defences are noted in the following statues in Thai law. The relevant subsections listed below are the most common used defences when getting divorced. speak to a divorce lawyer in Bangkok or a divorce lawyer in Pattaya or anywhere in Thailand if you are in the middle of a complex divorce as the legal system for defended divorces in Thailand is complex, costly and may take 2-3 years to reach its end. Always seek alternative options to a defended divorce if you have a prenuptial agreement in Thailand or there are child custody issues or a voidable marriage. Section 1516 (1) and (2) No action for divorce in Thailand may be instituted by the husband or wife, as the case may be if such spouse has consented to or connived at the acts under Section 1516 (1) and (2) upon which the action for divorce is based. This section takes away the grounds for divorce based on consent. As an example of the grounds for divorce in Thailand Section 1516 (1) and (2) would not be applicable if for example John and Lek are swingers in Thailand. Neither John nor Lek could apply for a divorce based on the other having sexual liaisons with one of their swinging partners during a night out swinging. Section 1516 (10) If the ground of action for divorce in Thailand is under Section 1516 (10) has resulted from the act of the other spouse, the action for divorce based upon such ground may not be instituted by such other spouse. With reference to this subsection you are not able to use it as grounds for divorce in Thailand if the physical disadvantage was caused by your own actions or inaction. Where the action for divorce in Thailand is based upon the ground under section 1516 (8) has been instituted, the Court may not pronounce judgment to effect the divorce if the behavior of the husband or wife that causes the bond to have been executed is a minor cause or of no importance in relation to peaceful cohabitation as husband and wife. This simply spells out that you may not use a frivolous excuse as a reason for your divorce in Thailand. Good behavior has a wide definition and as such the court would frown on and deny a divorce application in Thailand on such bases. If there was ever a broad stoke of the brush for divorce in Thailand, this must be it. 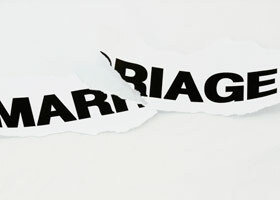 Under this section governing the divorce laws in Thailand the right to institute an action for divorce would be terminated if the spouse entitled thereto has committed any act showing his or her forgiveness to the act done by the other that has caused the right to institute the action for divorce. Raising this section or defeating any attempt to use this section would require expert legal advice for your divorce in Thailand. Defending a divorce in Thailand can be complex. Rights of action based upon any of the grounds provided in Section 1516 (1), (2), (3) or (6), or Section 1523 for a divorce in Thailand are extinguished after one year when the fact which can be alleged by the claimant has been known or should have been known to him or her. Grounds upon which a claim for divorce can no longer be based may still be proved in support of another claim for divorce based upon other grounds. Hence grounds for divorce in Thailand have time limits. As explained above, those time limits are based on one year after the act or breach being known or should have been known. Those grounds are therefore not usable or applicable after a year. Making application for a divorce in Thailand is a very complex legal process and can cost you more than you think if you don’t have the appropriate legal assistance.